Each unit of donated blood can save up to three lives. Donation is an altruistic act. In the case of blood, this act can save up to three lives per unit donated. Because of its characteristics, blood is a tissue formed by liquids and solids, needed for life. The blood is made up of plasma (which contains water, salts and proteins) and red blood cells, white blood cells and platelets. Each component of the blood has specific functions within the body, for example, platelets help the blood to coagulate, red blood cells carry oxygen, while white blood cells, being part of the immune system, fight infections. Given the importance of blood for life, blood transfusions help save millions of lives each year, as it increases the life expectancy of patients with deadly diseases, allows medical procedures and surgeries and is essential for emergency medical care . However, many countries do not have a sufficient supply of safe blood. This can only be achieved through the willingness of unpaid altruistic donors. Having a blood transfusion service with safe and sufficient products is fundamental for every health system. 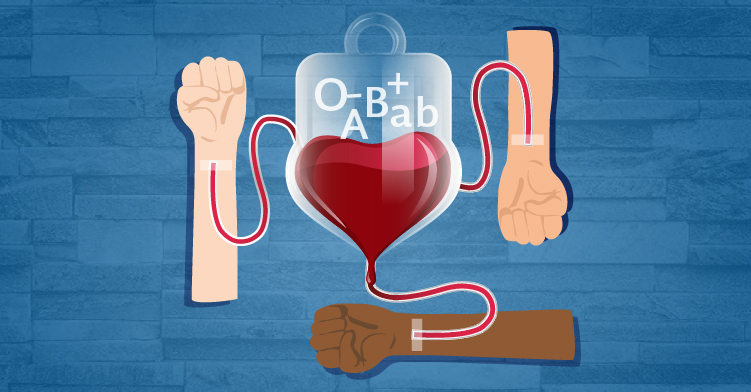 Each year, on June 14, World Blood Donor Day is celebrated, established by the World Health Organization in commemoration of the birth of Karl Landsteiner, who is credited with the discovery of blood groups in 1900. The theme of this year's campaign focuses on highlighting the donation of blood as an act of solidarity. It highlights the fundamental human values ​​of altruism, respect, empathy and generosity, which are at the base of voluntary and unpaid donation systems.